Kurdish-led fighters overran the last village held by the Islamic State group in Syria on Wednesday, confining its once vast cross-border “caliphate” to two small hamlets, a war monitor said according to ekurd.net. It is the culmination of a broad offensive launched by the Syrian Democratic Forces SDF last September with US-led coalition support in which they have reduced the jihadists’ last enclave on the north bank of the Euphrates valley near the Iraqi border to a tiny rump. 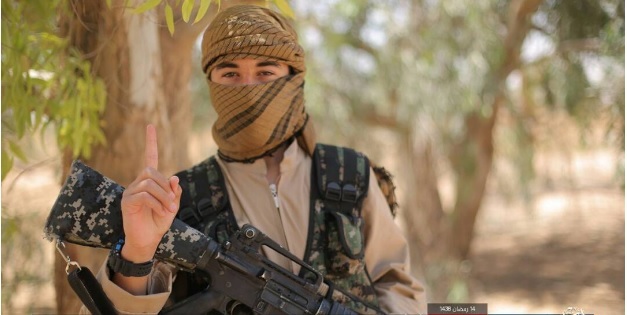 “Search operations are continuing in Baghouz to find any IS fighters who are still hiding,” the head of the Britain-based Syrian Observatory for Human Rights, Rami Abdel Rahman told AFP. “Around 4,900 people, mostly women and children but including 470 IS fighters, have fled the jihadists’ fast dwindling enclave since Monday, Abdel Rahman said late on Tuesday. The whereabouts of the ultra-elusive IS supremo Abu Bakr al-Baghdadi, who has made just once public appearance — in Iraq’s then IS-held second city Mosul in 2014 — are unknown. It is a far cry from the jihadists’ peak in 2014, when they overran large parts of Syria and neighbouring Iraq and Baghdadi proclaimed a “caliphate” in areas under their control. 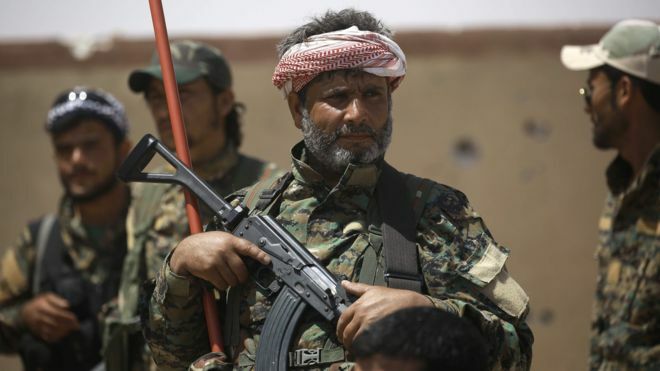 Neighbouring Turkey has threatened repeatedly to launch a cross-border operation to crush the Kurdish fighters of the SDF and the autonomous region they have set up in Syrian Kurdistan (Rojava) in areas of northern and northeastern Syria under their control. In 2013, the PYD — the political branch of the Kurdish People’s Protection Units (YPG) — has established three autonomous Cantons of Jazeera, Kobani and Afrin and a Kurdish government across Syrian Kurdistan in 2013. Turkey fears the creation of a Kurdish autonomous region or Kurdish state in Syrian Kurdistan could encourage separatism amongst its own Kurds, according to analysts. Ankara has previously launched two operations in Syrian Kurdistan. On August 24, 2016 Turkish troops entered the Syrian territory in a sudden incursion which resulted in the occupation of Jarablus after IS jihadists left the city without resistance. Most of Turkish operations were focused only against the Kurdish forces. In 2016, the Turkish troops entered northern Syria in an area some 100 km east of Afrin to stop the Kurdish YPG forces from extending areas under their control and connecting Syrian Kurdistan’s Kobani and Hasaka in the east with Afrin canton in the west. In January 2018, Turkish military forces backed pro-Ankara Syrian mercenary fighters to clear the YPG from its northwestern enclave of Afrin. In March 2018, the operation was completed with the capture of the Kurdish city of Afrin. The flags of Turkey and Syrian rebel groups were raised in the Kurdish Afrin city and a statue of Kurdish hero Kawa, a symbol of resistance against oppressors, was torn down. Residents of the Kurdish city and Human right groups accuse Turkey and pro-Ankara fighters of kidnappings for ransom, armed robberies and torture. Iraqi troops killed a senior Islamic State leader during a security campaign in Baghdad, the Interior Ministry said according to iraqinews.com. “A special force of the Samara Operations Command managed to kill a terrorist during a security operation in northwestern the Dhuluiya airport, north of Baghdad,” IKH News quoted the Security Media Center as saying in a statement. The Iraqi capital has seen almost daily bombings and armed attacks against security members, paramilitary troops and civilians since the Iraqi government launched a wide-scale campaign to retake Islamic State-occupied areas in 2016. Though most of the daily bombings go without a claim of responsibility, Islamic State is thought to be behind many. Isolated cells believed to be linked to the Islamic State group remain active in some parts of the country. In recent weeks, suspected Islamic State insurgents have carried out several attacks targeting security forces and civilians across Iraq. IDF fighter jets struck Iranian and Syrian military targets, air defense batteries and Quds Forces positions throughout Syria in the predawn hours of Monday, in response to the firing of a surface-to-surface missile fired by Iranian forces a day earlier toward Israel’s Golan Heights, like reported by jpost.com. According to IDF Spokesperson Brig.-Gen. Ronen Manelis, the airstrikes were carried out in three waves and targeted military targets belonging to Iran’s Quds Force in Syria, including weapons storage sites, a site at Damascus International Airport, an Iranian intelligence site and an Iranian training camp. In addition, several Syrian air defense batteries were struck after dozens of anti-aircraft missiles were fired toward the Israeli jets. Syria’s SANA news agency quoted a military source as saying that regime forces destroyed most of the missiles before they struck their targets. 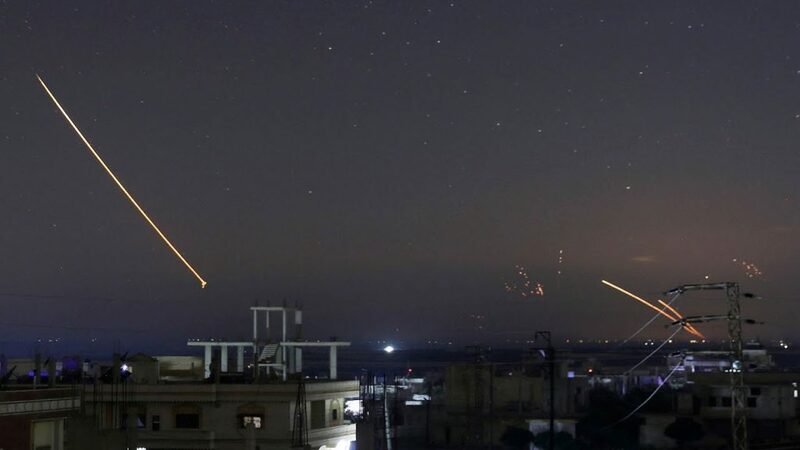 Russia’s Interfax news agency quoted Russia’s defense control center as saying that Syria’s air defenses destroyed more than 30 cruise missiles and guided bombs fired by Israel and that four Syrian servicemen were killed in the strikes. Israel’s military said the large-scale strikes came as a response to Iranian forces in Syria of firing a missile with the intention of hitting the northern Golan on Sunday. The missile was intercepted by the Iron Dome defense system. According to Manelis, the missile that was fired toward Israel was an Iranian-made surface-to-surface missile whose launch had been prepared months in advance. Manelis told reporters that the missile was fired from around the capital of Damascus in an area which Israel had been assured “by the relevant parties” that Iranian forces would not be found. Following the attack, the IDF announced that the Hermon skiing site would be closed to visitors on Monday. Residents of the Golan were told to maintain their routine on Monday until further instructions from the IDF Home Front Command were issued. “Our armed forces are prepared for a war that will bring the destruction of Israel,” he said, according to media reports. The IDF Spokesperson’s Unit said the Syrian regime is responsible for what is happening in its territory and warned it not to act or to allow other actors in the country to take further action against Israel. Iraqi Shi’ite militias have been notified by the US forces to evacuate several military fortresses in eastern Mosul, north of Iraq, said a local source according to basnews.com. At least five military fortresses are under the control of Iranian-backed Hashd al-Shaabi around Bartella (some 20 kilometers east of Mosul), said Ali Mulham, a Kurdistan Democratic Party (KDP) representative in the area. He told BasNews that the US forces are expected to be stationed in the military fortresses after Hashd al-Shaabi’s evacuation. Mulham claimed that the Shi’ite militias are given less than 24 hours to move their equipments out. It was not clear if the US army is moving troops from Syria to the region as part of its plan to withdraw from Syria, or it is another relocation of troops to limit Iran’s hegemony on the region. 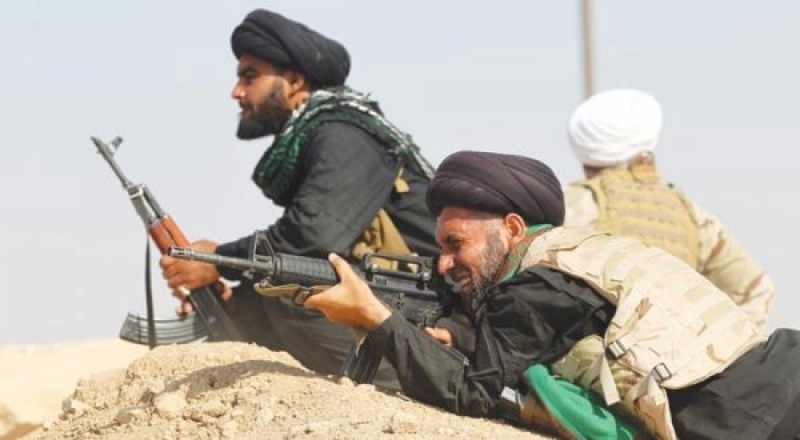 Iraqi Prime Minsiter Adil Abdul-Mahdi said on Tuesday that the issue of whether the Shi’ite militias of Hashd al-Shaabi should continue or be dissolved, is an internal issue of Iraq, like reported by basnews.com. Israel’s airstrike on what Prime Minister Benjamin Netanyahu claimed were Iranian “weapons depots” at Syria’s Damascus airport over the weekend may have also targeted and wounded members of Lebanese Hezbollah and Iranian Revolutionary Guard Corps leadership, according to a report by Kuwaiti newspaper Al-Jarida. The report quotes sources in the IRGC in an exclusive statement to Al-Jarida saying the Israeli attack targeted a meeting of several members of the IRGC’s elite Quds force, Lebanese Hezbollah, and Syrian army head discussing a future joint offensive by Moscow and Ankara against the Al Nusra front in Idlib province, considered the last major stronghold for Syrian rebels – in addition to Iranian military installations and weapons depots. The attack reportedly took place just after the meeting ended as the groups were leaving. 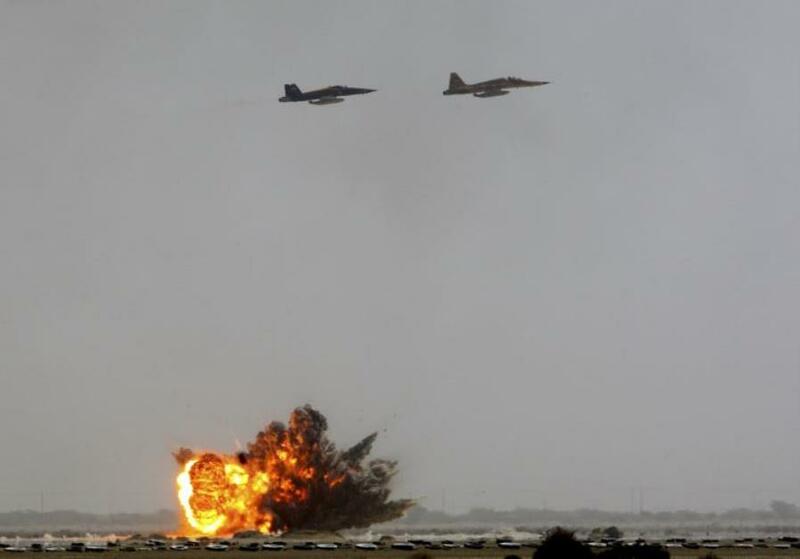 At least two IRGC officers and a Hezbollah officials were seriously injured in the strike, as well as several officers from the Syrian army, according to the report. Netanyahu on Sunday said Israel has been behind hundreds of strikes against Iranian and Hezbollah targets in Syria in remarks confirmed by Israeli Defense Forces outgoing Chief-of-Staff Gadi Eizenkot who emphasized the IDF’s victories against Iran and Hezbollah under his leadership over the course of four years. Israel gave no initial comment on Friday’s reported strikes, but has previously acknowledged carrying out hundreds of attacks in Syria over the years against what it says are Iranian military targets and advanced arms deliveries to Hezbollah. On Saturday, the Syrian foreign ministry said that Israel was able to “get away” with such raids in the country because it is backed by the United States. Turkey and Russia have been unable to rein an al-Qaeda-linked group in Syria that has emerged as the terrorist organization’s strongest branch and the most dominant jihadi group in the country, Fox News reported Wednesday. Although they are on opposite sides of the war, pro-Syrian opposition Turkey and dictator Bashar al-Assad’s ally Russia reached an agreement late last year to establish a horseshoe-shaped buffer zone in Idlib free of jihadis and their heavy weapons by October, to no avail. The Russia-Turkey pact is part of mutual efforts to end the war in Syria — raging since March 2011. 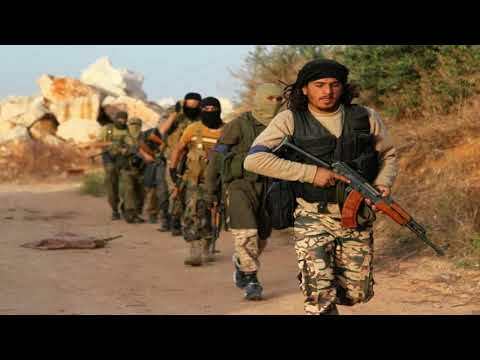 Known as Hayat Tahrir al-Sham (HTS), the al-Qaeda-linked group continues to wreak havoc in Idlib, the jihadis organization’s primary stronghold in the region. “HTS has proven itself to be the strongest military force in the Idlib pocket in recent weeks. Their rapid advance is a cause for concern because they are de-stabilizing efforts to bring a political settlement to the last rebel enclave. Their extremist ideology also makes it more likely that the Russian and Assadist forces will have an excuse to launch a full-scale offensive, which will have devastating humanitarian consequences,” Alan Mendoza, founder and executive director of the U.S. policy think tank the Henry Jackson Society, told Fox News. 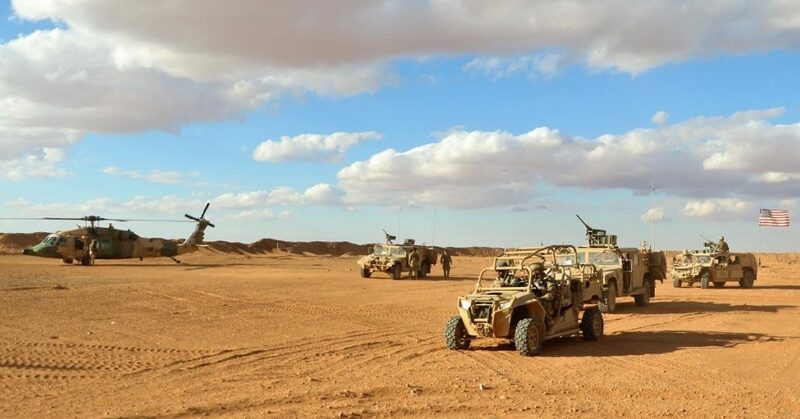 In recent days, the al-Qaeda affiliates conquered the strategic town of Darat Izza, located close to two main highways in Syria used to move fighters and supplies within the country and along the Turkish border. An Al Qaeda-linked jihadist group Hay’at Tahir al-Sham (HTS) is gaining swaths of territory in the northern province of Idlib, usurping control from Turkish-backed groups connected to the National Liberation Front (NLF). The goals of the group, otherwise known as the “Organization for the Liberation of the Levant,” are centered on dominating as much territory as possible ahead of planned talks between Russia and Turkey, to bring a final end to the almost eight-year Syrian civil war. Based on a previous agreement, Turkey was supposed to have reigned in the extremist outfit – now raising concerns it may not have the capacity to do so. Citing several analysts, Fox News noted that Turkish President Recep Tayyip Erdogan’s near single-minded focus on pushing the U.S.-allied Syrian Kurds out of territory bordering Turkey had rendered Ankara incapable of addressing the al-Qaeda threat in Idlib. According to an analysis by the Center for Strategic and International Studies (CSIS), HTS has between 12,000 and 15,000 fighters and is the most dominant of all rebel groups operating in Syria. Formerly known as al-Nusra Front and Jabhat Fateh al-Sham, HTS claims to have cut its allegiance with al-Qaeda, but several experts have dismissed the claim as deceptive. The U.S. Department of State has officially designated HTS a foreign terrorist organization in May 2018. “If HTS acts as a spoiler to the [Russia-Turkey] agreement on the ground, this will probably lead to one of two scenarios: either Turkey and the NLF launch military action against HTS, or Russia will seize the opportunity with the support of the [Assad] regime and its allies to enter Idlib,” Nawar Oliver, an analyst for the Turkey-based Omran Center predicted in October, according to Al Jazeera. 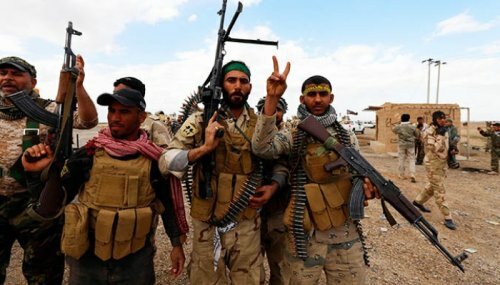 The Shiite militias that fought in the war against the Islamic State are now “engaged in mafia-like practices” in former Islamic State strongholds, enraging Iraqi Sunnis and sparking fears of another Islamist insurgency, like reported by intelnews.org. In 2014, the meteoric rise of the Islamic State of Iraq and Syria —ISIS, later renamed Islamic State— was largely aided by the belief of Sunni Arabs that they were second-class citizens in a Shiite-dominated Iraq. Popular support for the Islamic State among Iraq’s Sunni Arab minority took the Iraqi government by surprise and almost enabled the militant group to conquer Baghdad in 2015. Today, after the destruction of the Islamic State’s self-declared caliphate, Iraq’s Shiite-dominated security and intelligence services have returned to Sunni-majority regions that were once ruled by ISIS. 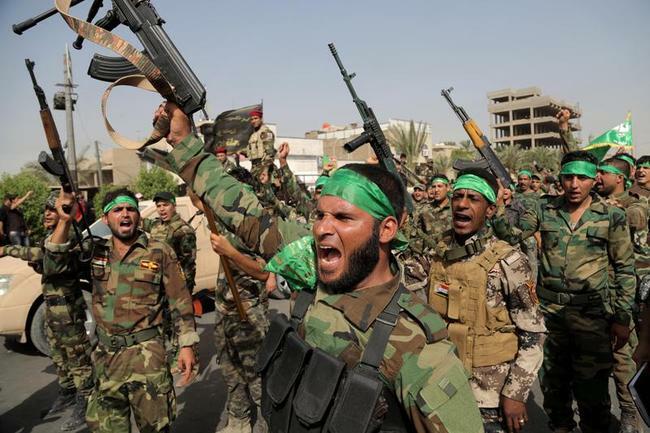 But there signs that about 50 Shiite militias, which were supported by the Iraqi state throughout the war against ISIS, are now becoming highly autonomous armed gangs that are undermining the central government in Baghdad. 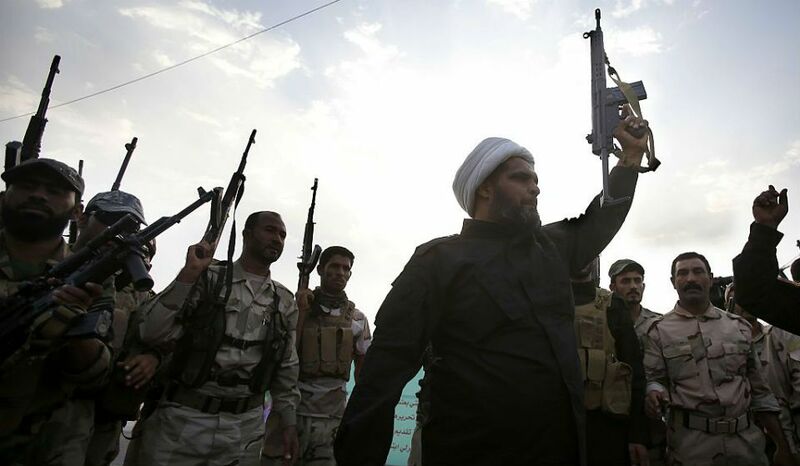 These militias —many of whom are politically aligned with Iran— are essentially armed wings of Shiite political parties that control more than a quarter of the seats in the Iraqi parliament. In 2014, the Shiite-dominated Iraqi government attempted to utilize the power of the militias by uniting them under the umbrella of the so-called Popular Mobilization Forces (PMF). PMF troops participated in every major front of the war against ISIS and today are an officially recognized military force with rank and salary structures that are equivalent to those of the Iraqi military and police. Technically, the PMF operate under the command of the Iraqi prime minister. In reality, however, the militias that make up the PMF are led by their respective Shiite commanders, many of whom are ideologically allied to Tehran. The PMF militias are today in control of much of Sunni-dominated Western Iraq, which they helped retake from ISIS. According to Washington Post correspondents Tamer el-Ghobashy and Mustafa Salim, the militias are now using their newfound territorial power to make large sums of money. Various PMF militias operate countless checkpoints across Western Iraq, on roads between cities or —increasingly— within cities such as Mosul, imposing toll fees on supply trucks and even on individual motorists. The two Washington Post correspondents warn that these militia members are beginning to exhibit “mafia-like” behavior, establishing protection rackets and kidnapping motorists at night in order to release them for a fee paid by their families. Additionally, PMF commanders make arbitrary decisions about which of the nearly 2 million Iraqi Sunnis, who were displaced in refugee camps due to the war, are allowed to return to their homes. Many of these homes and land that used to belong to Iraqi Sunnis are now being expropriated by PMF commanders, who claim that their previous owners collaborated with ISIS, often without evidence. This practice, say el-Ghobashy and Salim, is rapidly altering the demographic balance between Sunnis and Shiites throughout Western Iraq. The two authors forewarn that these mafia-like practices by the PMF are “fostering local resentments […] and revive the kind of Sunni grievances that underpinned the Islamic State’s dramatic rise three years ago”.